swing accents in an airy score. the hand-leaves, palms turned away. spread eagled for our slower eyes. This uncharacteristic poem appears in my first book, The Glass Violin, copies of which are still available from Ginninderra Press. (Scroll down this linked page to Cottier.) Annoyingly, the last two lines above should appear as a broken line, with the word ‘breathe’ under the word ‘fig’, but this broken line keeps being removed before I can post this entry, creating a lovely chunky effect. Sigh. I still remember how nervous I was before the launch of that first book. Geoff Page did the launch speech. And now I am doing the launch of a book for the first time on Friday. 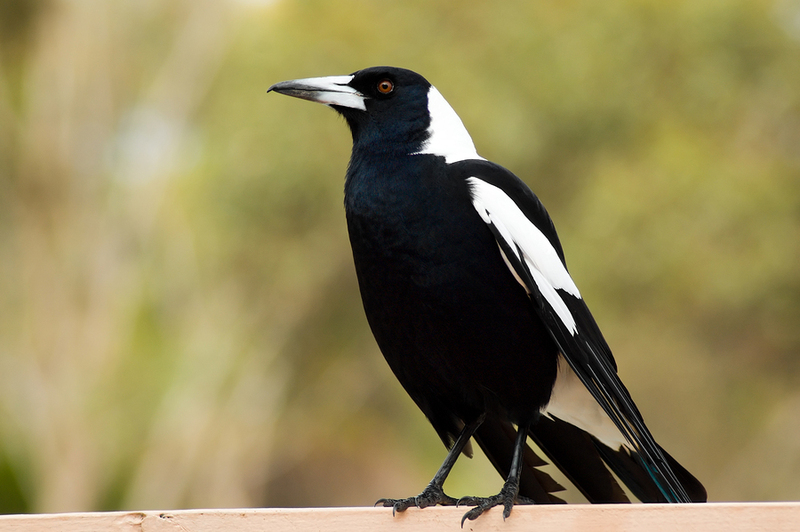 The book is called In response to magpies, and is a small pamphlet of nine poems dealing with this charismatic Australian bird. The idea is that it would make a wonderful alternative to a mere Christmas card. The authors are Denise Burton, Amelia Fielden, Hazel Hall, Norma Hayman, Kathy Kituai, Sandra McGahy, Fiona McIlroy, Sandra Renew and Jill Sutton. Details: Biginelli Expresso, 5th floor, School of Music, Australian National University, 2pm. Please come along if you feel like poetry or coffee (or both) in the middle of the day. I understand that magpies cause some havoc in New Zealand, where they are an introduced species. So even though one might say Quardle oodle ardle wardle doodle, I doubt somehow that this feather represents the magpie. Click it, and you will fly to New Zealand, where further poetry awaits you. this is a beautiful poem. That sounds like a good tutorial…but I’ll forget about the issue until the next time I’m in the middle of posting, no doubt.